Living in a homeowners association creates an opportunity for its members to benefit in many different ways. By collecting monthly dues, its members can afford many services that an individual wouldn’t otherwise enjoy. 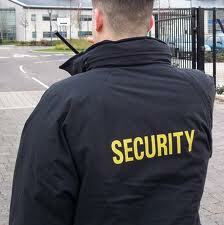 Homeowners association security is one of those valuable services. This service best serves as a deterrent for criminals, but it can also enforce your association’s rules and regulations including parking enforcement and access control. There are many rights homeowners associations have to protect home value and create a better quality of living. This page will have an analysis of homeowners association’s rights, as well as describe the many features of having Homeowners association security. Another option for Homeowners Association security other than random nightly vehicle patrols of the property, is to employ a dedicated guard at the property either in the form of a roving post or a stationary gate guard. This option gives the Homeowners Association complete coverage of an entire time frame whereas a random vehicle patrol comes to the property a certain number of times per night so naturally the security coverage is actually there a shorter amount of time. There are pros and cons to each however. For instance, the dedicated patrol service fee per month is substantially larger than the amount a vehicle patrol cost due in most part to the amount of time they actually spend at the property. That being said, if the Association can afford it, it’s usually in its best interest to employ a dedicated patrol at the property. Other factors should be taken into consideration when choosing the type of Homeowners Assocation security such as the geographical footprint of the property. If a dedicated guard is employed, will it be cost effective for the Association if security takes an hour or two to patrol the entire grounds on foot? Or does it make sense to incur the cost of a vehicle for a dedicated guard in a vehicle? Bravo Three provides call response as a standard of service for all patrol accounts so if something is seen or heard during contracted hours a Bravo Three will respond within 20 minutes. Would it make even more sense to employ a vehicle patrol since the total time will be covered under call response? And finally, does a combination of any of the services previously listed make sense? Whatever an Association chooses, they should ensure that they’ve done their due diligence, and have done some research on Homeowners Association security in the nearby area. This is one specialized facet of a dedicated guard service. There are a few more reasons to employ a gate guard than just access control. Access control into your community can be achieved through the use of a FOB system and an automatic, mechanical gate. But is that really truly effective access control? Automatic gates break all the time and can be a maintenance nightmare. Constantly staying open or closed is not something the Association or its residents ever want to have happen. In addition to the gate malfunctioning, its sole purpose is to keep unwanted and unauthorized personnel off the property but “piggybacking” is all too easy for the determined individual. “Piggybacking” simply means what it sounds like. Someone who doesn’t have a gate code or FOB key waits near the entrance of the property for another authorized vehicle to pull in then, before the gate is about to close, they drive in with the help of the unknowing, authorized resident. A gate guard mitigates any unauthorized access while adding a heightened sense of security and accommodation to the community’s residents. If the opportunity ever arises for a Homeowners Association this is definitely an option to mull over. In a homeowners or condo-owners association, with limited spots, stringent rules on who can park where and/or the overuse of guest spots by residents, parking can very rapidly become a major issue. In order for a homeowners association security patrol to be successful with parking enforcement, it must utilize three key elements. The first key is CONSISTENCY. Ensuring that the required parking area you want patrolled is being patrolled 7 days per week, and is also patrolled during every property visit every night. The residents of the community will quickly figure out whether or not the homeowners association security patrol is checking the parking areas every night and will give the security patrol the run around if there are any lapses in coverage. Along with CONSISTENCY, the second key to a successful parking enforcement equation is ADAPTABILITY. As mentioned before, residents are very smart and will figure out what they need to do to not get cited or towed. For this reason, ADAPTABILITY is crucial for a homeowners association security patrol to have. If the residents figure out a way to skirt the rules the security needs to be able to figure out what they’re doing and adjust for it. Finally, solid RECORD KEEPING (e.g. Citation/Tow Report) is the third and final part of a successful parking enforcement strategy. If you have a policy to cite a vehicle twice before towing, but the homeowners association security doesn’t have any way of keeping track of the number of citations a vehicle has, how are they going to be able to effectively enforce that policy? CONSISTENCY, ADAPTABILITY, and RECORD KEEPING are what should be the priority of a security patrol in regards to pursuing a successful parking enforcement strategy. Similar to the example I gave earlier, a Homeowners Association has the authority to establish in its CC&R’s, traffic regulations AND has the authority to enforce them. It also has the ability to pass that authority for enforcement on to an authorized agent of the HOA, e.g. the Homeowners Association security force. Whether or not a Homeowner’s Association decides to enact any traffic regulations or not is completely up to the specific association. A great deal of thought around this subject should be explored prior to enacting these types of policies. However, if the association feels that it is necessary due to the presence of dangerous driving conditions and/or dangerous driving habits of the residents, it may be prudent to put some traffic policies into place. If the Homeowners Association does choose to enact such policies, ensure that the security company that is chosen is not only equipped to handle this type of enforcement but that they also have the training, experience, expertise and professionalism to carry out such a task. Although parking enforcement and common area usage are important topics, there is one thing that supersedes all other functions of a homeowners association security patrol. Protecting you, your family and your property. Ensuring your safety should come before all else. If security fails at this function, it has effectively failed overall. That being said, in addition to the patrol service providing you this protection, they should also be able to provide you other ancillary services that add value to the service. The security needs of a Homeowners Association are very different from that of any other type of residential communities, such as apartments and mobile home parks. Everything from the physical size of its geographical footprint to the structure of its governing entity, you can hardly find two similar things. With all these differences in aspects of each community, it comes at no surprise that the difference in approach to the security programs for each community will be night and day as well. To start, a Homeowners Association is in itself its own entity, usually a corporation. Currently there are no state agencies that regulate Homeowners Associations, however, they are required to adhere to the state’s Corporation Code and Davis-Sterling Common Interest Development Act. Being a corporate entity, the Homeowners Association is given the authority to handle the association’s assets, enforce HOA policies and regulations and levy assessments. This gives the Homeowners Association and its contracted security a larger scope of authority to design and enforce a sufficient and effective security program versus the traditional apartment community. For example, in 2013 the Lake Holiday Property Owners Association took a partially overturned decision by an appellate court in favor of Kenneth Poris, a resident of the Lake Holiday Property Owners Association, to the Illinois Supreme Court and had the verdict again overturned in their favor. Here is the story. On Oct 20, 2008 Kenneth Poris was driving on a road owned by and within the property boundaries of the Lake Holiday Property Owner’s Association. Using a radar unit, James Podnar, a member of the homeowners association security, measured Poris’ speed at 34 mph (9 mph over the Association’s speed limit of 25 mph). At this time, Podnar activated the lights on his security vehicle and pulled Poris over. Podnar cited Poris for speeding in the Association. All 14 counts were eventually found in favor of the Association by order of the Illinois Supreme Court. The point of this story is to bring to light the fact that the scope of authority of the Homeowners association and of the homeowner’s association security is much greater than that of any other residential complex or entity. Being that as it is, as a Homeowners Association you should use this authority as a way to enforce the CC&R’s of the association to promote order and maintain the quality of life within the HOA. Learn More About What Bravo Three Can Do For You! Traffic enforcement is only one aspect of homeowners association security that is completely different than other residential security programs. Due to the sheer size of homeowner’s associations, a completely different logistical approach to the security program is required. Time on property is a huge factor to all vehicle patrol clients but couldn’t be more important than it is to a homeowners association security program. Obviously, the sky isn’t the limit, the budget is. Bravo Three works hard to ensure we do everything we can to work inside each and every client’s budget. For this reason, a security assessment is standard before our proposal is submitted to ensure accuracy, fairness and competitiveness. Because the budget is the limiting factor, it’s important to determine the needs and wants of the HOA Board and its residents so as to trim the fat of unneeded security measures and pinpoint aspects of the property that need the service the most. Some communities span 100s if not 1000s of acres and require a 24 hour dedicated vehicle patrol and front gate guard conducting access control. For other communities with a smaller geographical footprint, a vehicle patrol a few times per night with parking enforcement, property lockups and unlocks and foot patrol of a few key areas is sufficient and effective. In any case, the safety and security of the community’s residents is number one and should be the primary priority of the homeowners association security staff. Want To Learn More About Residential Security? Visit Our Apartment Security Pages! Visit Our Security Facts And Advice Pages!